﻿ great board games for families. I am a huge fan of board games. Huge. I have yet to convince Viktor of their import in our lives, but the kids are finally old enough to appreciate their mothers’ mad skills. 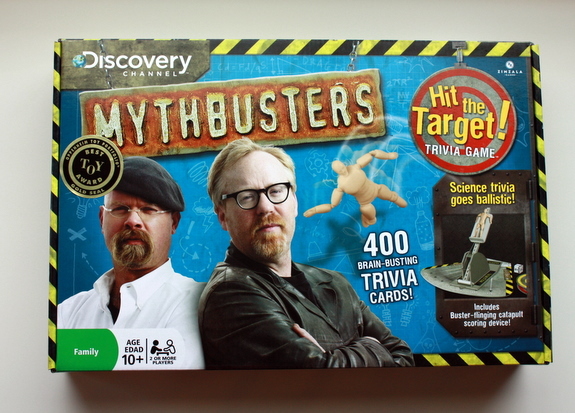 I think however, when the kids open up a package to reveal this Mythbusters board game on Christmas day, they might wipe the floor with me. 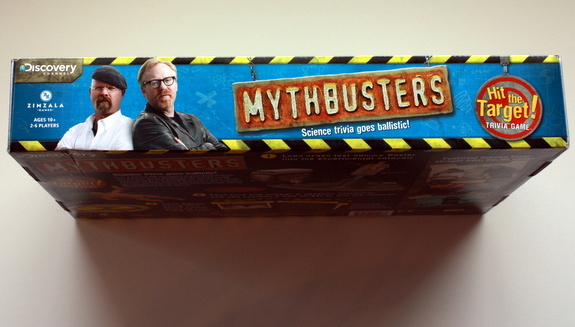 I don’t know if it’s unhealthy or not but my kids are Mythbusters obsessed. Charming knows what ballistics gel is and routinely requests C4 for special holidays. He also wrote a love letter to Kari Byron, and I’m not even kidding. Look! It’s Adam Savage and Jamie Hyneman. And Buster! With a catapult! Holy cow, I don’t even want to think about the things that will fly around my kitchen come Christmas morning. I will challenge your said mad skills! I like to call my self the queen of the board games! 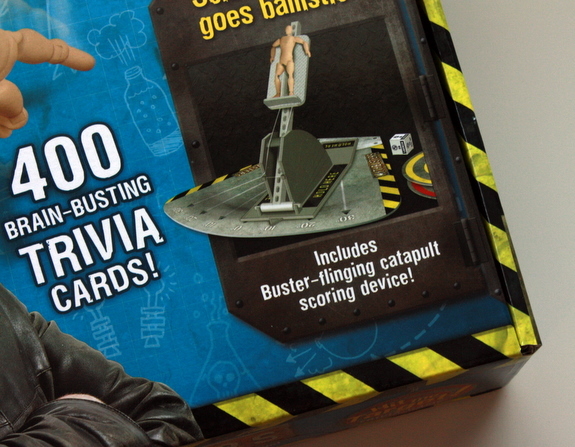 We’re big fans of Mythbusters, this looks like fun! Oh, it’s on sister, it is ON. It’s kind of the perfect combination for you then, eh?